I think in recent years we’ve become desensitised to the constant remakes and reboots Hollywood has subjected us to, but this one is still kinda surprising. 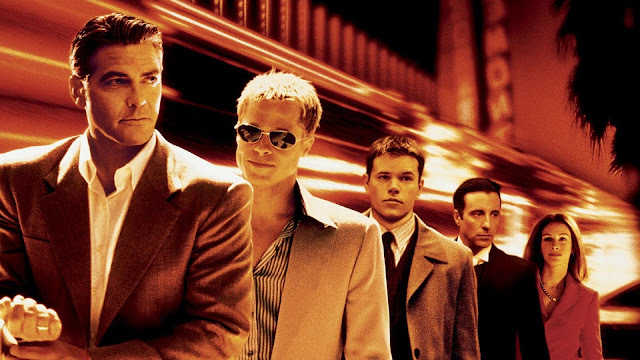 According to The Playlist and Entertainment WeekWarner Bros.ly, The Hunger Games director Gary Ross is onboard to helm a reimagining of Steven Soderbergh’s effortlessly cool heist movie Ocean’s Eleven. What’s more, Sandra Bullock has signed on the dotted line to take the lead in what is said to be an all new, all female reboot. While little is known about what to expect (will it be associated with the original, or a complete reboot? ), I think its safe to say Bullock’s character will be called Danielle Ocean. Soderbergh and Clooney (who may appear in cameo as Danny Ocean) are onboard as producers, shepherding the project started by the late Jerry Weintraub, with screenwriter Oliva Milch (Little Women) having already handed in the first draft to Warner Bros. While I don’t think this gender swapped reboot will attract the same controversy as Paul Feig’s Ghostbusters, it will be interesting to see if Ross can replicate the same magic that Soderbergh delivered.